Pop Art provocateur Andy Warhol and Chinese dissident artist Ai Weiwei come together in a celebration of two of contemporary art’s most radical talents. There’s still time to catch ‘Andy Warhol | Ai Weiwei’ at Melbourne’s NGV International, with extended hours this weekend before the hit show wraps up Monday on ANZAC Day. Tickets have been selling like hot bagels/dumplings for this compelling doubleheader, which takes two of the 20th and 21st centuries’ most controversial artists and explores the parallels and contrasts in their work. Developed exclusively by Melbourne’s National Gallery of Victoria and Pittsburgh’s The Andy Warhol Museum, the exhibition follows on from Weiwei’s recent headline-grabbing shows at London's Royal Academy and Copenhagen's Faurschou Foundation. Over 300 works are on display, spanning painting, sculpture, photography, film, publishing and social media. Pop Art protagonist Warhol, who died in 1987, represents the ‘American century’, with his bold explorations of consumer culture, capitalism and celebrity (including its dark side, from car crashes to state executions). Artist and social activist Weiwei, born in 1957, is one of the most visible faces of the current ‘Chinese century’, with Asia’s superpower dominating global commerce. 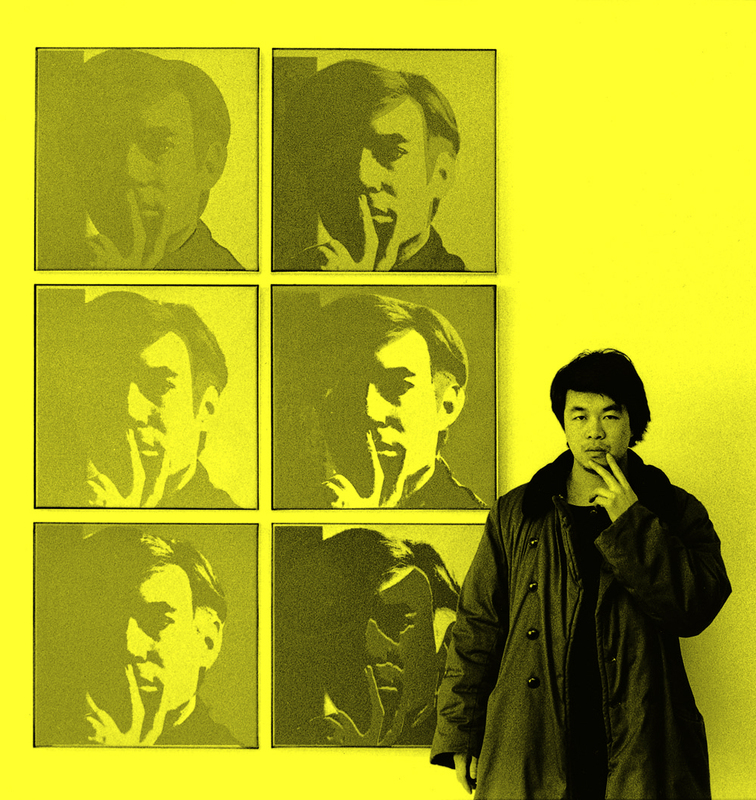 There are many crossovers between the pair though, with Weiwei living in the States from 1981 to 1993 where he was inspired by Warhol’s conceptual approach. Weiwei’s interdisciplinary practice also mirrors The Factory, Warhol’s famously bohemian studio, using collaboration and social media to broaden the reach of his art. The exhibition presents more than 200 of Warhol’s iconic works, including his famous ‘Mao’ portrait; Warhol visited China and was intrigued by its iconography and politics. Up for grabs are more than 120 works by Weiwei, making this Australia's most comprehensive retrospective of his output to date. 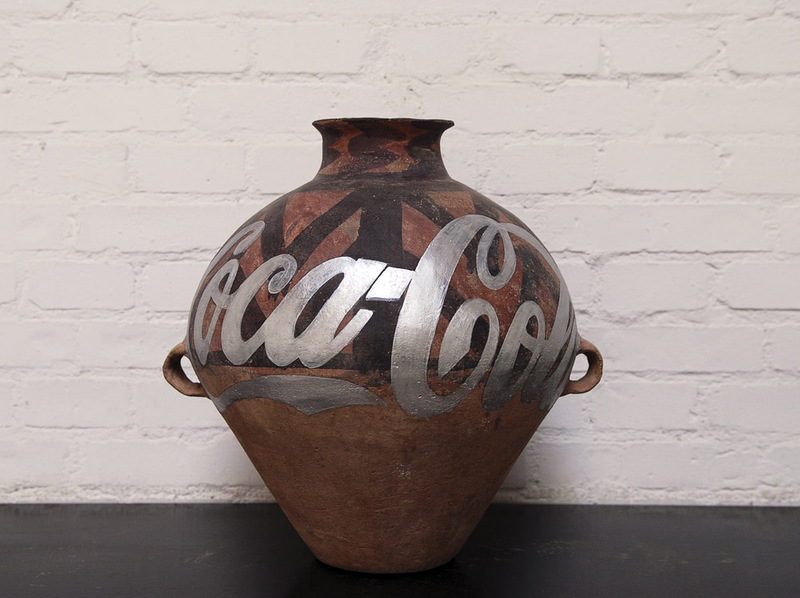 We love Weiwei’s jaw-dropping pot pieces, including his vibrant ‘Coloured Vases’ cluster, splattering ancient vases with industrial paint, and culture-clash work ‘Neolithic Pottery with Coca Cola Logo’. Both take an ancient art form and reinvent it for the modern era, offering similar shock tactics to that of British potter Grayson Perry. New commissions include a bespoke installation from Weiwei’s ongoing ‘Forever Bicycles’ series forming an arch at the exhibition entrance. 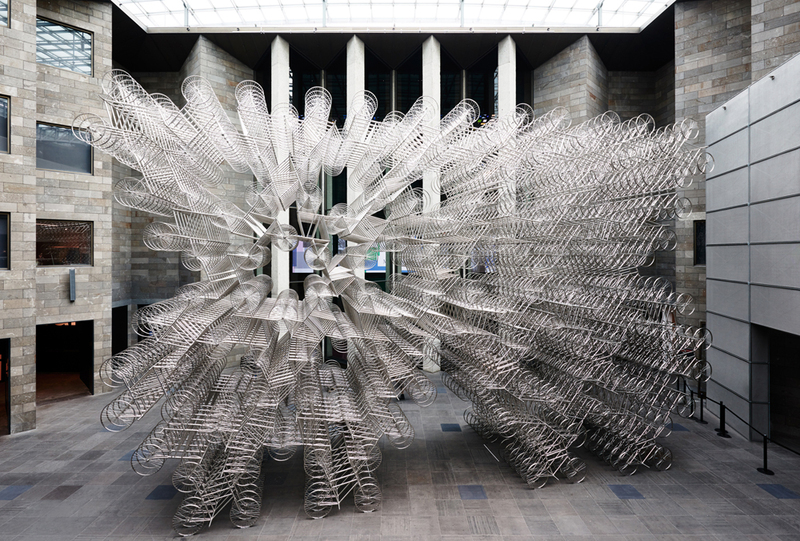 It incorporates 1,400 readymade bicycles, a recurring motif in Weiwei's photos, but here detached from their function in a blur of mesmerising repetition; the individual melds into the multitude. Also new is a major five-metre-tall work from his crystal ‘Chandelier’ series, shaped like an antique Han Dynasty tomb lamp, ‘Blossom 2015’ featuring a bed of delicate porcelain flowers, and the playful 'Caonima (Grass Mud Horse) Balloons and Bird Balloons', a floating inflatable work influenced by Warhol's 'Silver Clouds' 1966. 'Andy Warhol | Ai Weiwei' is at NGV International, 180 St Kilda Road, Melbourne, until 5pm Monday 25 April 2016; extended hours apply including 24-hour opening from 10pm Saturday 23-10pm Sunday 24 April, and a special performance by Robert Forster (The Go-Betweens). It transfers to The Andy Warhol Museum in Pittsburgh, USA, from 4 June to 28 August 2016.